When we talk about insurance for parked cars, we’re not talking at the curb or in the driveway. This is about cars that are off the road, whether for a season or for a hobbyist to repair and restore. Though Ontario requires insurance for every vehicle on its roads, this raises an interesting question. Does a non-driven parked car require insurance? Technically speaking, a car that’s not driven doesn’t require insurance. In the Ontario insurance market, though, there are other factors to consider. There’s no temporary insurance product in the province. The shortest term for which you can buy car insurance is six months. For seasonal vehicles parked from October to March, this may be adequate to cover on the road time, with the car uninsured in the winter months. This meets the letter of the law spelled out in Ontario’s Insurance Act. Registering car ownership at the time of purchase requires insurance coverage. A motorist purchasing a car to work on requires a policy on the vehicle to obtain the green ownership form, identifying to whom the car belongs. While a temporary license of 10 days covers the drive between seller and buyer, the six-month minimum policy remains. Though an owner can save premiums by cancelling insurance while a car is parked, there are compelling reasons to maintain coverage. When there is an active policy in place, it runs until the end of its term, whether six months or one year. Should a driver wish to cancel a policy prior to its expiry, the insurance company will charge an administrative fee. This is permitted under the Insurance Act. A car insurance consumer has rights as well. One of these is the right to make changes to a current policy. As the use of the parked car changes, the driver can alter the policy without cancelling. In this way, the insurance policy continues to protect the parked car at all times, without paying for unnecessary coverage. Ontario’s minimum required auto insurance includes $200,000 of third party liability coverage. Most drivers extend this to $1 million, since a serious at fault accident can exceed $200,000 in legal bills. However, third party damages aren’t likely from a car that’s not driven. Taking auto insurance coverage back to the provincial minimum can save on monthly premiums. Collision and comprehensive coverage protect the owner against loss or damage to a car. Neither type of insurance is mandatory. A driver can suspend both sections when a car is parked. Comprehensive insurance protects a car under non-collision circumstances. Incidents such as fire, theft, vandalism and extreme weather affect cars actively on the road or parked. Depending on a driver’s investment, maintaining comprehensive coverage on a parked car is prudent. Consider this when deciding what coverage to apply to your parked vehicle. 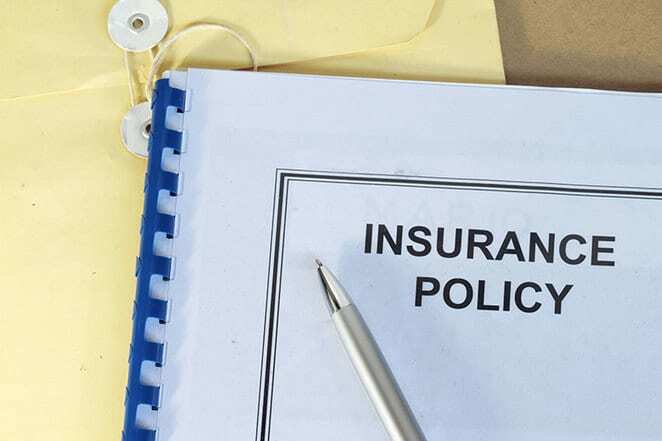 Not all insurance companies charge the same rate for the same policy. Enter your postal code below to search for the lowest premiums meeting your car insurance needs. Is Car Insurance Mandatory in the United States?